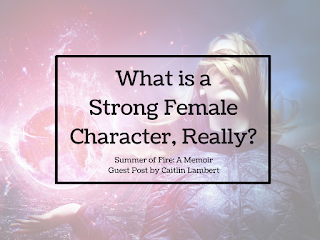 My guest today is Caitlin Lambert, who kindly offered to write about what she perceives as a strong female character in literature. Thank you, Caitlin, for a wonderful, well-written piece! Lately, there has been lots of discussion about female empowerment, and literature has not skipped out. 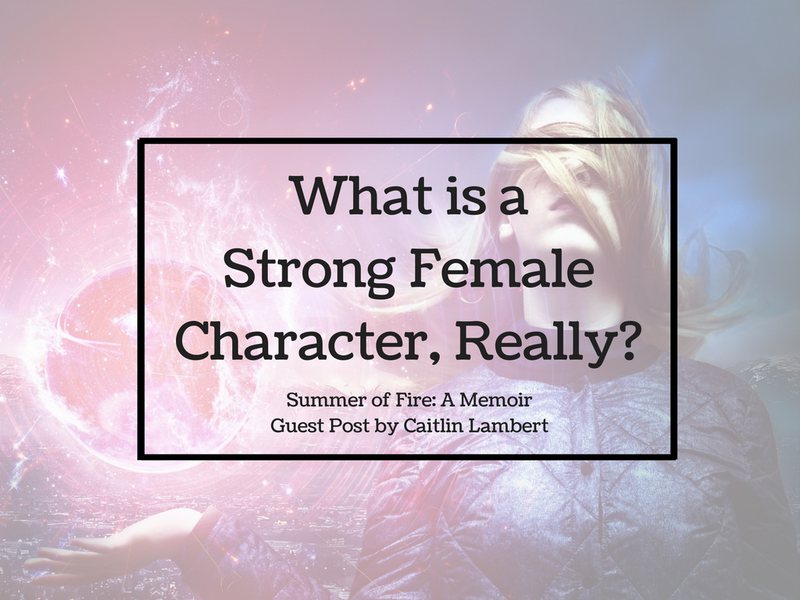 In fact, “strong female characters” is a term thrown around a lot, especially when it comes to YA books. With the phrase so commonly used, how do we know what it really means? Reviews and readers say that a book has a “strong female protagonist”, but what characterizes such a young woman? What makes a female character strong? They carry a sword, so they must be strong. Anyone can drag a weapon around. As Gandalf (aka J.R.R. Tolkien) so profoundly said, “True courage is knowing not when to take a life, but when to spare one.” Violence and skill in war definitely reflect a certain kind of strength, but it is the harsh kind. What about the gentle, steady strength? Why does all strength have to come from violence? Someone who quietly perseveres through years of trials without giving in is, in my opinion, much stronger than a person who unleashes one time in passionate anger and slaughters an entire army. Tears equate to weakness. Characters can never cry, even if they are facing the impossible, or staring into the face of death. Bottle the pain, harness the hurt. Bury it deep inside until it hardens into strength. Guys, this isn’t real. In this world – in this life – we experience trials and heartbreak, and we sob until we can’t breathe. We suffer loss and death, and what is our natural, real response? Why, then, do we need to morph tears into a weakness in literature? When a character oversteps that line between heartbroken and whiny, then they border on weak. Strong people don’t avoid crying. They cry, but then get up and overcome. Here, everyone, is where you find strength. Strength is staring fear in the face, feeling it, harnessing it, and overcoming it. Sometimes strength is the quiet, steady kind, and sometimes it is more fiery. Sometimes it does require passion, and speaking out for something you believe in. But other times, it is soft. Constant. Strength comes in all forms. Trying to stereotype a “strong female character” is to try and fit every woman into the same category. Every character will have different strengths and abilities. Weak characters react to the people and world around them, letting other people dictate their choices. They rely on others to protect/save them, so any danger will probably render them completely incapable of action, until someone else rescues them. Sometimes, a character is trapped, and someone else breaks them free. That doesn’t automatically mean the character was weak. It just requires a balance. How many times does the female save herself? Strong people fight and overcome in spite of their fear, not in absence of it. Why would we even need to be strong if something is easy? The entire essence of strength is holding up under pressure. If we take that pressure away, we don’t need to be strong. Therefore, fear is not a bad thing. You as the writer just need to decide how your character will react to it. Harsh women aren’t always strong, and kind women are not always weak. In fact, it takes a great deal of strength to be kind, especially to people who don’t deserve it. Some of my favorite female characters in YA have been ones who not only fought and overcame, but who were merciful and looked out for the innocent. Lots of times, young adult novels (especially big worlds like in sci-fi and fantasy) have huge stakes and the main character must make decisions with enormous consequences. Having them remember the small people who seemingly don’t matter shows a huge part of their personality. One of the biggest lessons to be learned from the Hobbit (and the LOTR series as a whole) is that small people can do great things. One line from the Hobbit movie illustrates this… “It never ceases to amaze me, the courage of hobbits.” Even though the hobbits are much smaller than any other fantastical beings in Middle Earth, they still accomplish and overcome huge obstacles. Bilbo likes his books and his house and his fireplace, but throughout his journey with the dwarves, he shows strength. He is the smallest, and yet often, he is the bravest. There are many, many characteristics of strength – enough to fill a dozen posts. In the end, I think we should realize that “strong female characters” do not all mirror each other. They are not all weapon-bearing, army-leading, or kingdom-conquering. They won’t always make the right decisions, or have everything figured out. Sometimes they will cry – sob even – and feel the crushing weight of their fear. And then they’ll get back up, keep fighting, and overcome. THAT is true strength. Caitlin Lambert is the mind behind Quills & Coffee, where she shares tips, tools, & encouragement for writers. She writes YA sci-fi/fantasy novels, and is currently querying her second book, WHAT LIES ABOVE, while drafting her third. When she’s not writing or working, you can find her reading, composing piano, and adding endless destinations to her travel bucket list. Or quite possibly eating dark chocolate. Thank you SO MUCH for this amazing post. I could not agree more. Actually planning to blog about this a bit myself in the future, but yes. There are different kinds of strong and tough exterior/doesn't cry ever/carries sword is NOT the only way to go!!! Thank you, Kate Marie, for commenting! I will make sure Caitlin sees this. Thank you, Kate Marie! You are so welcome =) Your comment is spot-on... strength comes in many different forms, and even though carrying a sword isn't necessarily bad (many of my characters do, even the females), I hope readers don't EXPECT that from a female character. It doesn't define strength. Thanks again!